To see an owl in dream symbolizes your expanded awareness or some magical virtue. The owl sees what is happening in the unconscious areas of your soul and thus it can bring you wisdom and insight about your hidden feelings and experience. 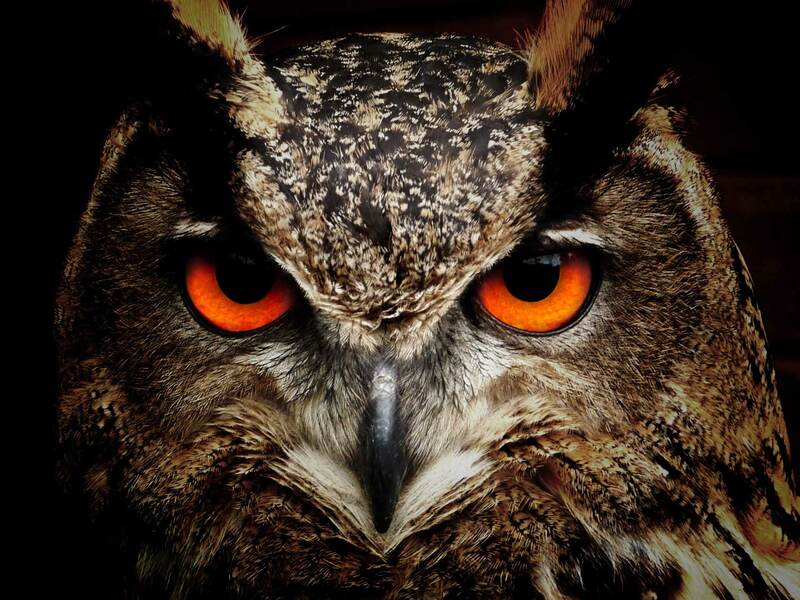 The owl can arouse your conscious self into the process of self-awareness. It can also help your reveal some personal mysteries of life and death. Because owls hide in darkness and fear the light, they are often perceived as the symbol of death and unconscious (among Native Americans, in India, Arabia, Africa etc.) Death often carries only negative connotations for western people, but the owl can also be seen as the guardian of the underworlds, messenger of secrets or protector of the dead. Owls are commonly found in woodlands and they are hunting alone at night. Only independent animals with keen vision can be capable of such challenging existence. Therefore other symbolic meaning for the owl is wisdom and solitude. Symbolic meaning of wisdom comes from ancient Greek, where the owl was the sacred bird of the goddess Pallas Athena (the goddess of wisdom). Athena is often depicted with an owl sitting on one of her shoulders. Because owls have the ability to see what is usually hidden to others (owl can see in the darkness), it can be the spiritual symbol for the wise clairvoyance. Owl can symbolically perceive the true reality – the experience beyond all illusion and deceit. There are many diverse beliefs regarding the owl among American Indian tribes. Mainly Indians consider the owl as an announcer of death. This can be taken symbolically (death as a transition in life, some important change that will come) or literally. In this case dreaming about an owl can be the sign of approaching death. Or if a person hear the owl hoot and answers with a similar whistle but did not hear a response, then would soon die – an old saying: "When the owl cries/sings, the Indian dies". In Indian view, owls can represent both – a deceased person and their newly-released soul. It is considered that in Goya's etching owls was not a symbol of wisdom but rather the symbol of foolishness and stupidity (acts committed under cover of darkness). The theme remind the medieval tradition to get rid of the mad people, beggars, discharged soldiers, cripples or sick – putting them on the ship and sending away from the city. Bosch also portrays a reversal of the mysterious process mentioned in the Bible (Fall and Expulsion from Paradise) – the spirit is replaced by the material gluttony. The owl sitting in the tree represents both, the wisdom and death. Wisdom is quite distant to the people in the boat, but death is probably quite near. Owl, below the left leg of Night is symbolic of the hours of darkness. A fantasy adventure movie based in Greek mythology, where the owl Bubo was a robotic replica of Athena's beloved magical bird. The famous „Owl scene” from Blade Runner. 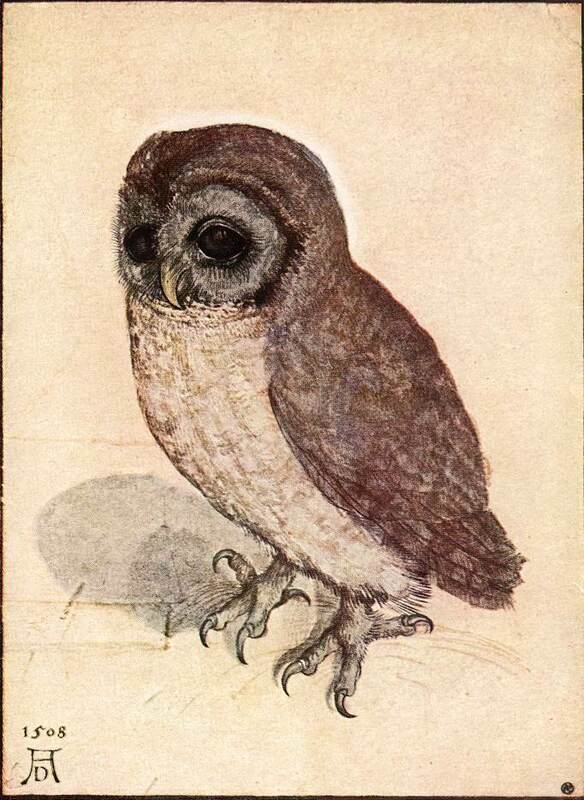 „The owls are not what they seem“ … mysterious hint without any other explanation. Australian-American computer-animated epic fantasy-adventure movie.